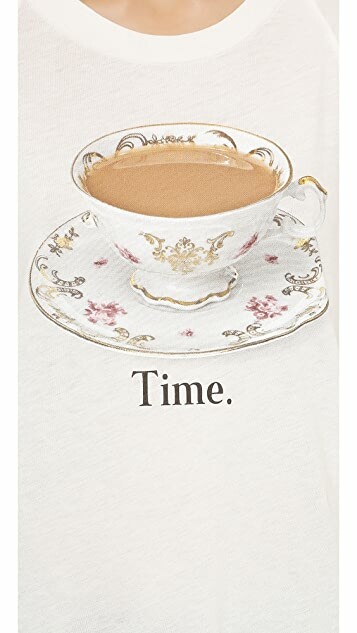 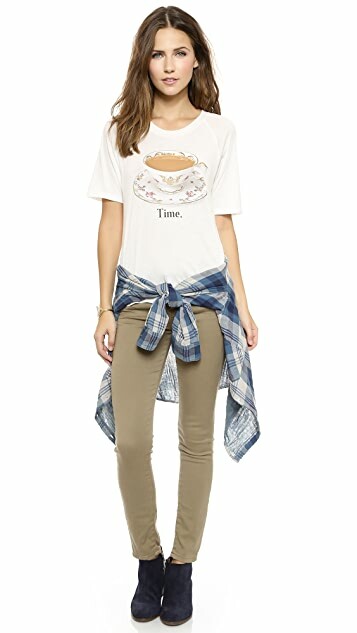 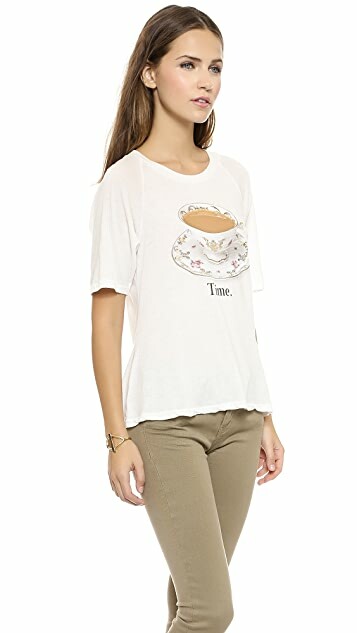 This super-soft jersey Wildfox tee makes a playful statement with a full teacup and 'Time' lettering in front. 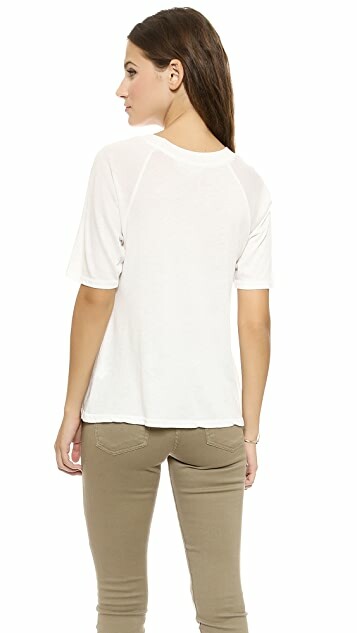 Ribbed crew neckline. 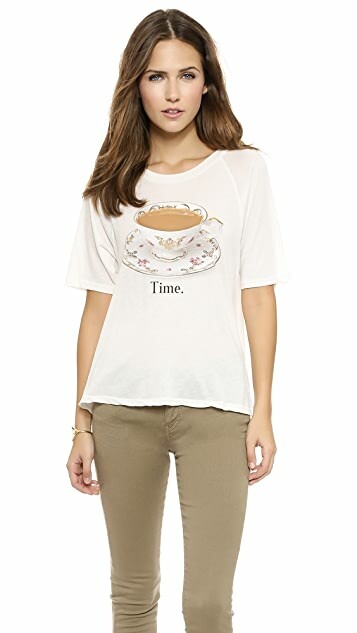 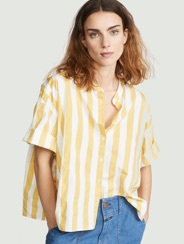 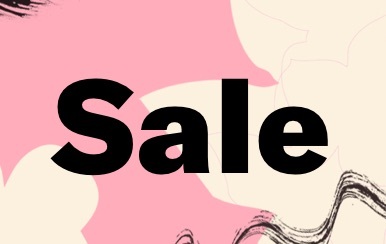 Short raglan sleeves.